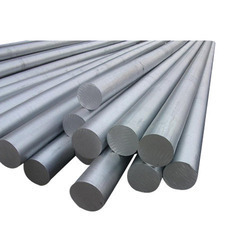 We are a leading Manufacturer of aluminium alloy grade 2011, aluminium alloy grade 2012 2024, aluminium alloy grade 6063, aluminum alloy grade 6082 6061 bar, aluminium alloy grade 6101a and aluminum alloy grade 7020 from Mumbai, India. 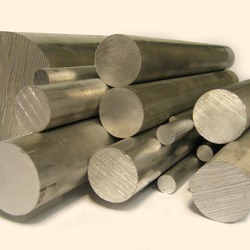 The strength of alloy in this group is enhanced by the addition of alloying elements such as copper, magnesium, zinc and silicon. Since this elements show increasing solid solubility in aluminium with increasing temperature, thermal treatments imparts pronounced strengthening. The first step, called solution heat treatment, is an elevated - temperature process designed to put the soluble element or elements in solid solution. This is followed by rapid quenching, usually in water, which momentarily ‘freezes’ the structure and for a short time renders the alloy very workable. It is at this stage that some fabricators retain this more workable structure by storing the alloys at below freezing temperatures until they are ready to form them. At room or elevated temperature the alloys are not stable after quenching, and precipitation of the constituents from the super – saturated solution begins. After a period of several days at room temperature, termed ageing or room temperature precipitation, the alloy is considerably stronger. 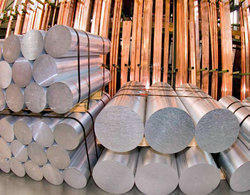 Many alloys approach a stable condition at room temperature, but some alloys, particularly those containing magnesium and silicon or magnesium and zinc, continue to age – harden for long periods of time at room temperature. By heating for a controlled time at slightly elevated temperatures, further strengthening is possible and properties are stabilized. This process is called artificial ageing or precipitation hardening. By the proper combination of solution heat treatment, quenching, cold working and artificial ageing, the highest strengths are obtained. The Free Machining Alloy – Machines to an excellent finish. Often replaces free machining brass without a change of tooling. First choice for screw machined parts unless higher strength or more corrosion resistance is required. Contains lead and bismuth to produce fine chips. Typical parts are clock gears, nozzles, pipe items, spindles. 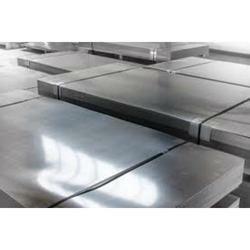 High strength alloys with excellent machinability widely used in aircraft. Have limited formability and only fair corrosion resistant in the heat treated condition. Not recommended for fusion welding. Used for high strength parts in aircraft and machinery, including gears and bolts and for security vans where strength ids critical. It has a tendency to allow the removal of a greater volume of metal in a single operation for an equipment standard of finish than 6082. Durability, however, is lower and needs a protection coating. Machines better in solution treated condition than fully heat treated. Used for machined parts where these characteristics are critical. Low to medium strength alloy suitable for more intricate sections requiring good corrosion resistance and high surface finish. 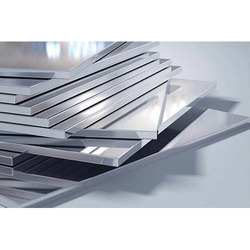 Used in transport and all architectural applications where good anodizing characteristics are essential. The most common alloy for shape from stock. Widely used structural alloys for light to medium strength applications. Combine good formability, weldability, brazed with fine finishing characteristics and good corrosion resistance and strength after heat treatment. Since they lose appreciable strength when welded, the 5000 series alloys replace them in some marine applications. Availability of bars, shapes, tubing and pipe in the same alloy helps make this a popular selection. 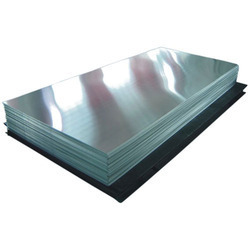 6082 is the most common heat treated plate from stock. 6061 is similar to 6802 with better formability but more difficult to extrude and possessing lower strength. Used for couplings, hardware, hydraulic pistons, etc. A very high strength aircraft alloy. Good machinability and hardness. Not for welding and corrosion resistant. Looking for Aluminium Alloy Grade ?